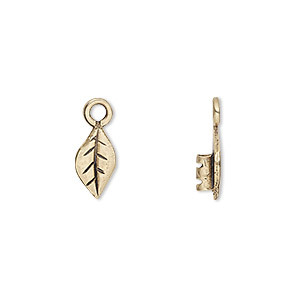 Crimp, gunmetal-plated brass, 10.5x6mm leaf with loop, 2mm inside diameter. Sold per pkg of 2. Item Number: H20-A3218FN Have a question about this item? 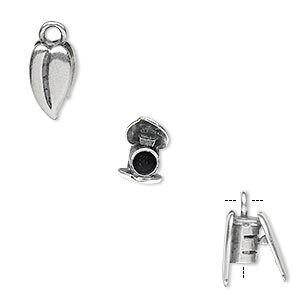 Use chain-nose pliers to compress the crimp ends to secure onto beading wire. 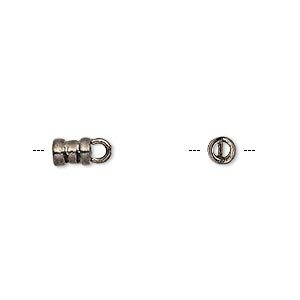 Crimp loop is ideal for attaching to clasps and other components. Crimp, antiqued brass, 10.5x6mm leaf with loop 2mm inside diameter. Sold per pkg of 2. 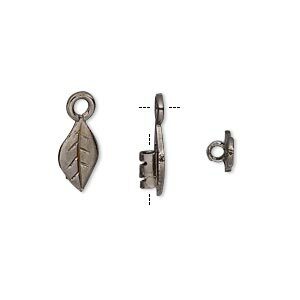 Crimp, antique silver-plated brass, 10.5x6mm leaf with loop, 2mm inside diameter. Sold per pkg of 2. 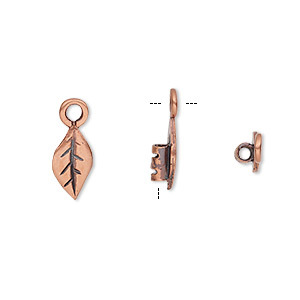 Crimp, antique copper-plated brass, 10.5x6mm leaf with loop, 2mm inside diameter. Sold per pkg of 2. 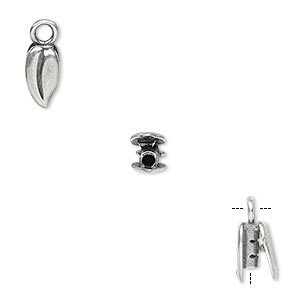 Crimp end, JBB Findings, antique silver-plated brass, 10x6mm double-sided leaf, 2mm inside diameter. Sold per pkg of 2. 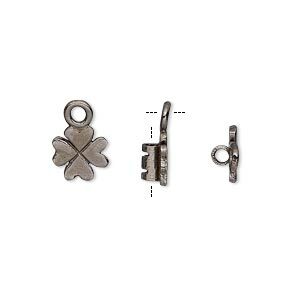 Crimp, gunmetal-plated brass, 8x8mm 4-leaf clover with loop, 2mm inside diameter. Sold per pkg of 2. 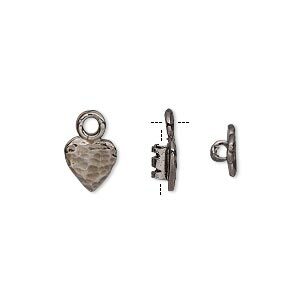 Crimp, gunmetal-plated brass, 8x7.5mm textured heart with loop, 2mm inside diameter. Sold per pkg of 2. 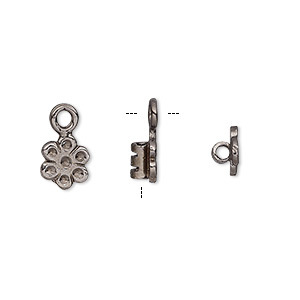 Crimp, gunmetal-plated brass, 8x7mm flower with loop, 2mm inside diameter. Sold per pkg of 2. 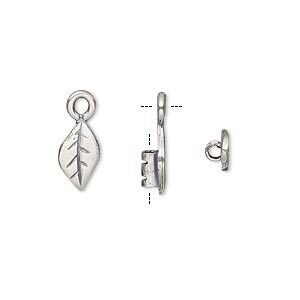 Crimp end, JBB Findings, antique silver-plated brass, 11x6.5mm double-sided leaf, 3mm inside diameter. Sold per pkg of 2. 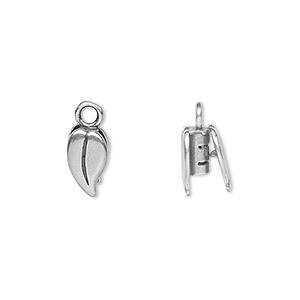 Crimp end, JBB Findings, antique silver-plated brass, 9x5mm double-sided leaf, 1.5mm inside diameter. Sold per pkg of 2. Crimp end, gunmetal-plated brass, 6.5x4mm tube with loop, 2.5mm inside diameter. Sold per pkg of 2.